Higher interest rates on mortgages and other loans increase the cost of purchasing a home using a fixed-rate loan, as is common practice. 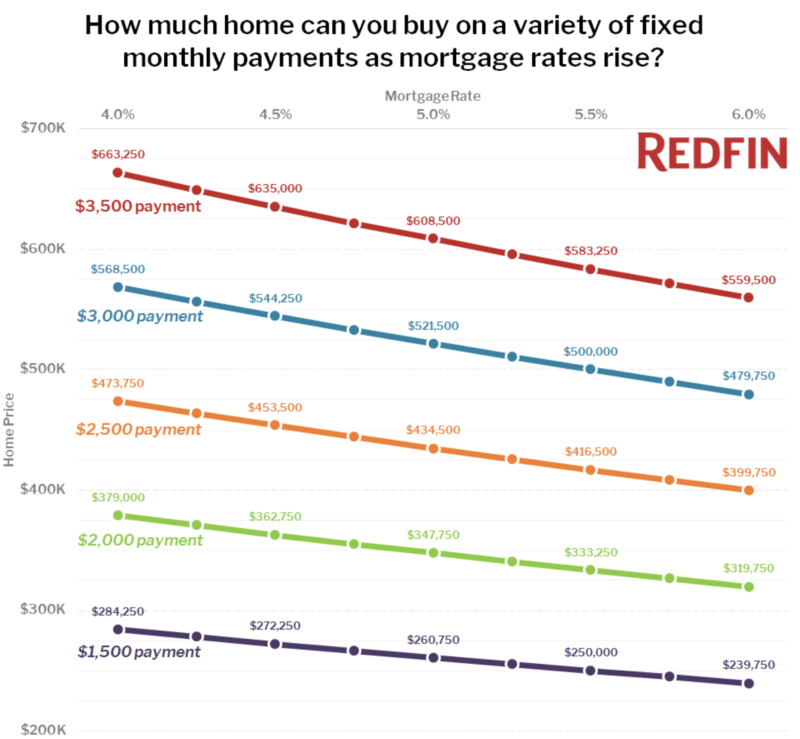 But even though average mortgage rates increased by less than 1 percentage point in the last year, this factor alone could add several thousand dollars per year to the typical Boston buyer’s costs, according to an analysis by Redfin. 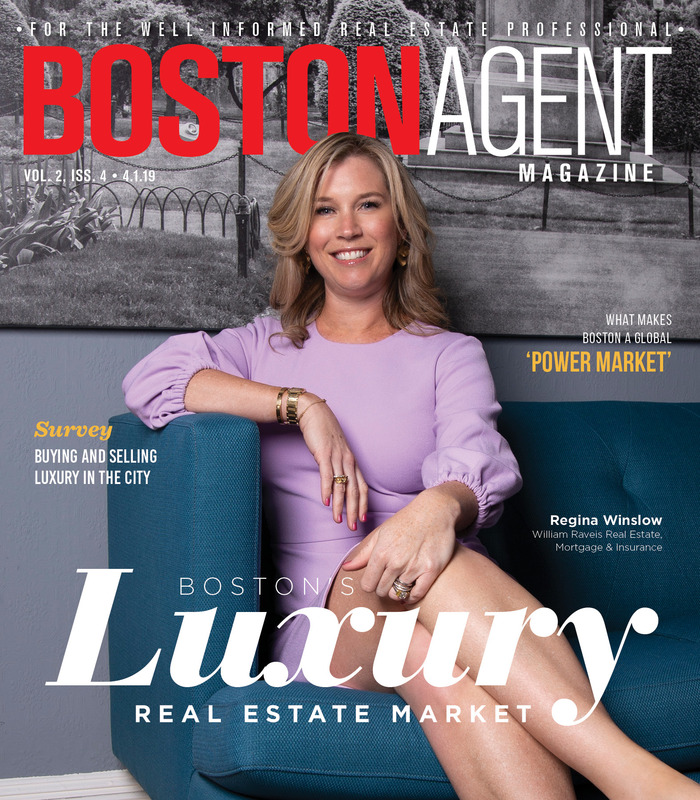 Using local home price data, Redfin determined that the average Boston homebuyer with a reasonable budget of $2,500 per month could afford a home worth $473,750 in September 2017, assuming a then-typical mortgage rate of 4 percent and a 20 percent down payment. One year later, though, with mortgage rates at 4.75 percent and rising, a buyer with the same budget would only be able to afford a home worth $444,000. Redfin showed that the effects of rising interest rates on homebuyers could be explained from one of two perspectives: Using known values for Boston’s real estate market, a buyer today would need to either pay $225 more per month ($2,700 annually) toward their mortgage, or settle for a home worth almost $30,000 less, compared to the market a year earlier. In another demonstration of the effect of higher interest rates, Redfin looked at the number of Boston homes available through its listing platform that buyers could afford with a $3,500 monthly housing budget. Assuming the same factors applied as the previous example (a 30-year fixed-rate loan, a 20 percent down payment), a loan with 4 percent interest would make any home less than $663,250 affordable. At the time it conducted the analysis, Redfin found 1,542 Boston-area three-bedroom homes that fit within that budget. If rates rose to 5 percent, however, as some expect to happen by the end of 2018 or early 2019, nothing above $608,500 would be affordable. Redfin estimated that this single-percentage rate hike would eliminate 12 percent of available Boston-area 3-bedroom home listings. Of course, there are dozens more factors that determine how much a mortgage borrower will need to set aside to purchase a home at a given price point. That’s not to mention the positive or negative effects that come from rising incomes, changes in the housing market and more. But Redfin used the data to argue why recent, seemingly small interest rate hikes may play an outsize role in swaying homebuyers and would-be sellers one way or another. Rate increases could impact affordability to an even greater degree in other U.S. markets. With a monthly housing budget of $3,500, 34 percent of listings in Orange County, California become unaffordable at 5 percent interest compared to 4 percent, Redfin found. And if buyers decide to lower their expectations rather than raise their budget, a list price cut of $25,000 could mean sacrificing up to 200 square feet of living space, on average. Redfin does acknowledge that slower home price growth, another development many economists expect in the next year, could cancel out rate increases. But in the metros where housing costs are highest, price growth would need to decelerate substantially for this to happen. The most recent economic forecast from Freddie Mac projects price growth to slow from 7.2 percent in 2017 to 4.6 percent in 2019. The 30-year mortgage interest rate is expected to average 5.1 percent in 2019, compared to 2017’s 4 percent average.